We have selected nineteen aspects of Saltaire which may be of interest to you. Brief descriptions and a few photographs can be seen via the list following “Welcome to Saltaire”. 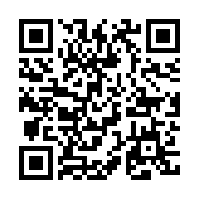 If you enjoy using QR codes like the one below, we are adding that option. This clever technology allows users to save time searching for information on the internet, taking you where you want to go with a minimum of fuss. It is just one of many ways we hope to use technology to enhance learning about Saltaire! The tour is offered in a text format for the moment but we hope to develop it and other interactive content, for example video, audio, map trails, even augmented reality. Stay tuned to find out more. To take the tour with QR codes, you need to have a smartphone and to download a QR reader app. Most are freely available on your device’s app marketplace. We hope you enjoy exploring…please do offer feedback if you have any comments or queries.